He went on to study for a first degree at the University of Leicester and followed that with an MSc and PhD from The Institute of Archaeology, UCL. He studied zooarchaeology and osteology at post-graduate level and retains an interest in both, as well as in urban archaeology (particularly of Ipswich). After a period of working for various organisations in the South East (including MoLAS, Canterbury Archaeological Trust and Hertfordshire Archaeological Trust) he joined Suffolk County Council as a Project Officer in 2002. He was fortunate to achieve promotion to Senior Project Officer in 2007 and then eventually became Head of SCC’s Contracting Team in 2012. Following SCC’s divestment of the Contracting Team in 2015 Rhod became the first Managing Director of Suffolk Archaeology CIC and is now head of the Suffolk office for Cotswold Archaeology. 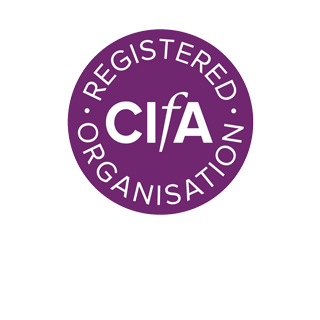 Rhod is a Member of the Chartered Institute for Archaeologists (MCIfA) and has 20 years’ experience of a wide variety of archaeological projects of many periods. In his current role he manages a diverse portfolio of projects from tender through to analysis and leads on large scale tenders and contract negotiations.